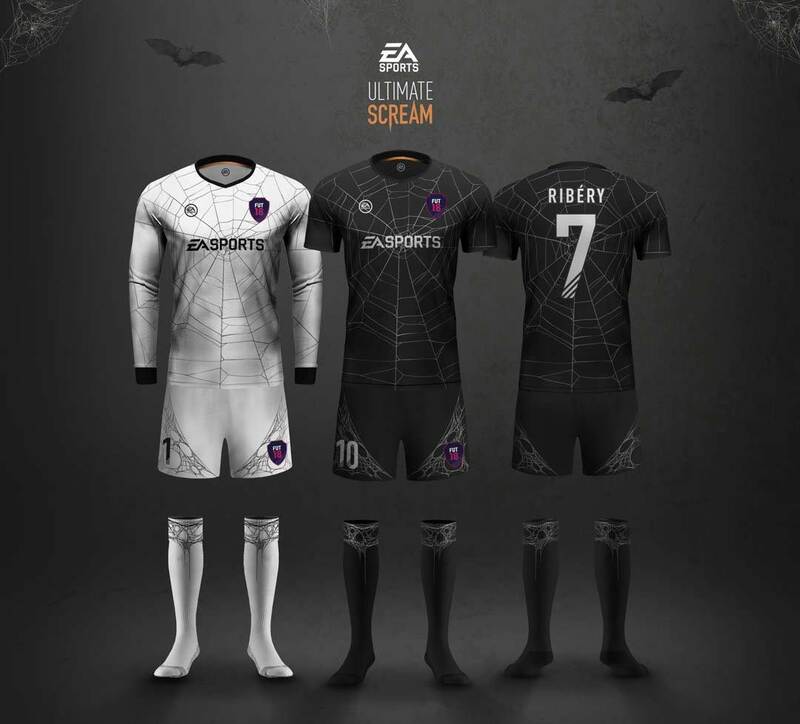 This year, there are new ways to play FIFA. 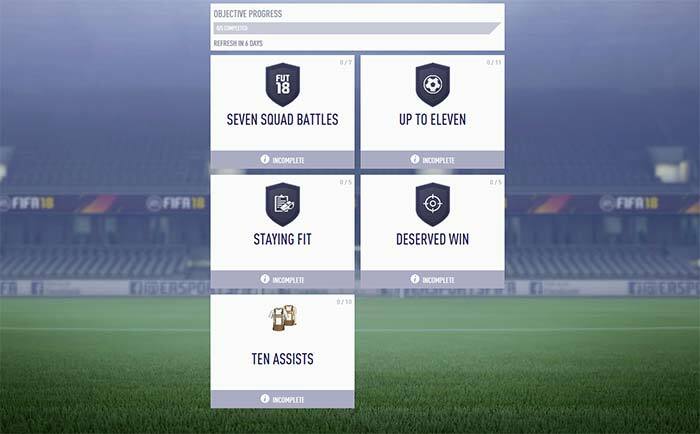 In this always updated page, you will be able to discover the FIFA 18 Weekly Objectives calendar and its rewards. 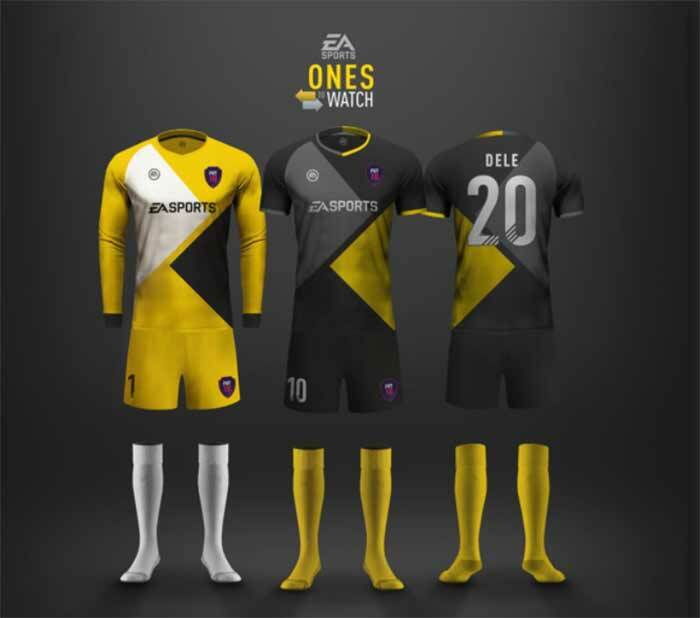 Complete weekly objectives in-game or in the new web & companion app to earn great rewards in FUT 18. From squad management goals to dynamic in-match challenges, the harder the challenge, the better the reward you’ll receive. FIFA 18 Weekly Objectives is a new way to earn weekly rewards in FUT 18. 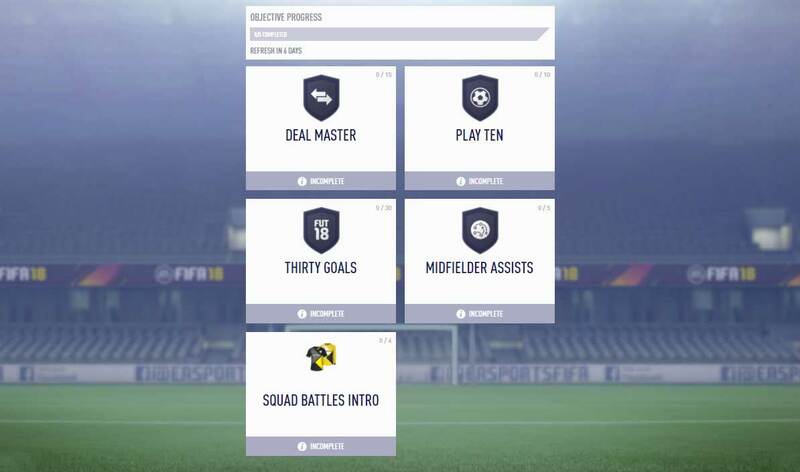 The Objectives vary in difficulty and are consistently updated. Each Friday, at 6pm (UK time), at least four new objectives are released. 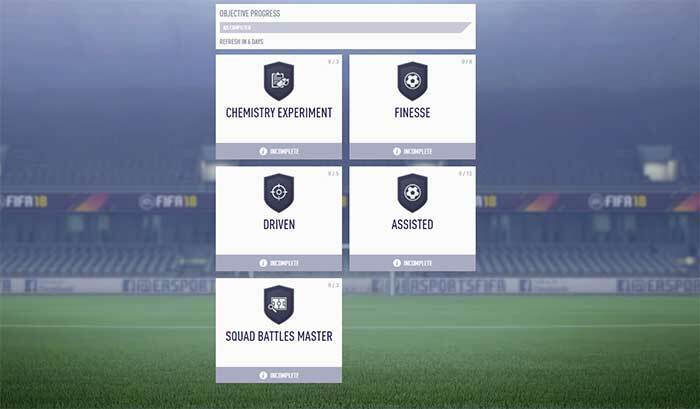 If you don’t claim your rewards before the Objectives reset, EA’ll automatically add them to your Club and you will be informed by a pop up. 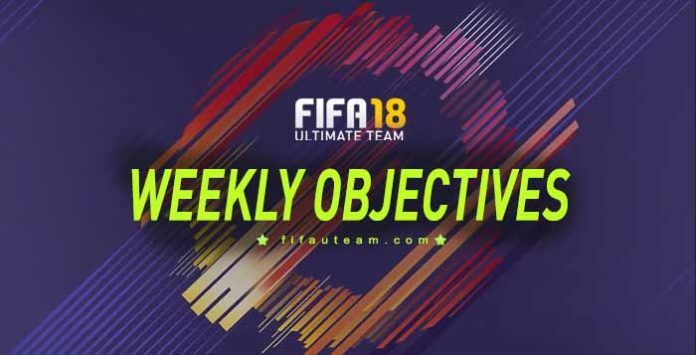 Let’s find out the complete list of weekly objectives. I just did solid midfield and got a silver pack. Bought 4 Emre Cans buy now 1,200 and sold them all for buy now 1,100 so didn’t cost too much and selling the pack will give a small profit. what do you get for solid midfield? Thanks for your time.. I wasted a lot of coins to buy players to complete objectives… worthless. Well if you would have done it smart then u will see it gives u more money back than the players have cost u!